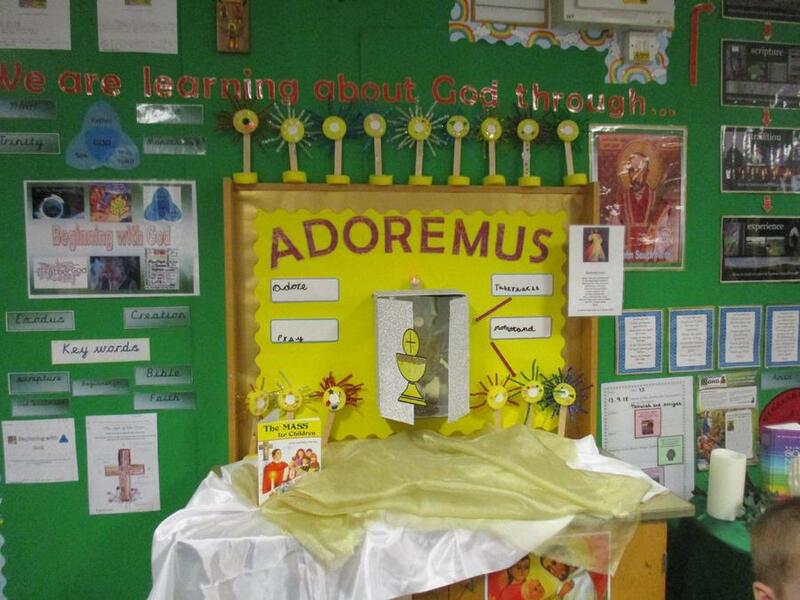 This year a wonderful event took place in the life of the Catholic Church in England and Wales. 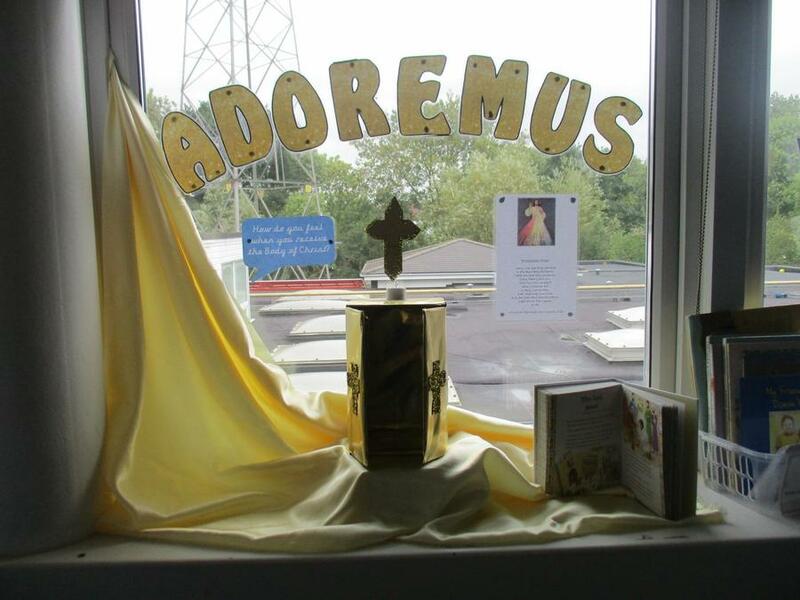 A National Eucharistic Congress was held in Liverpool under the title ‘Adoremus.’ This means ‘Let us adore’ and invites us to renew and deepen our faith in, and devotion towards, the presence of the Lord Jesus in the Eucharist – both in the celebration of the Mass and in adoration and prayer before the Blessed Sacrament. 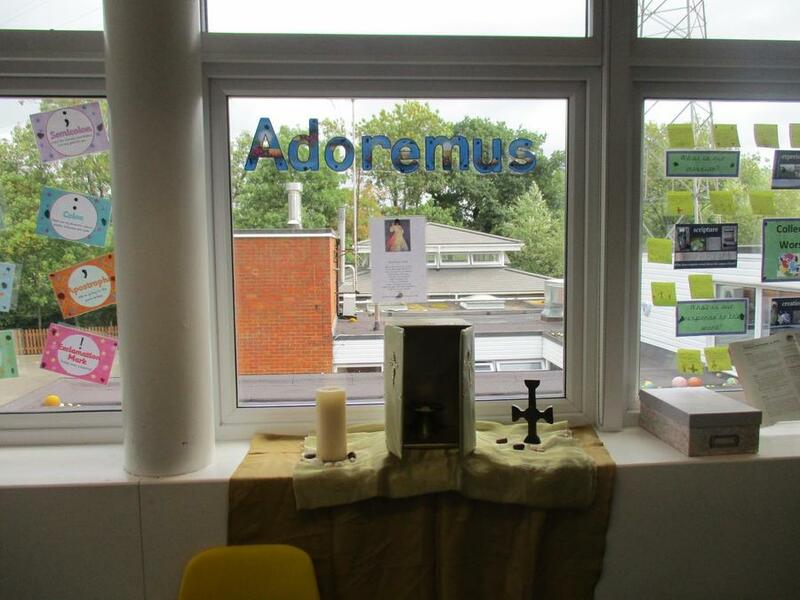 The Eucharist is the centre, the ‘source and summit,’ of the Church’s life and worship. 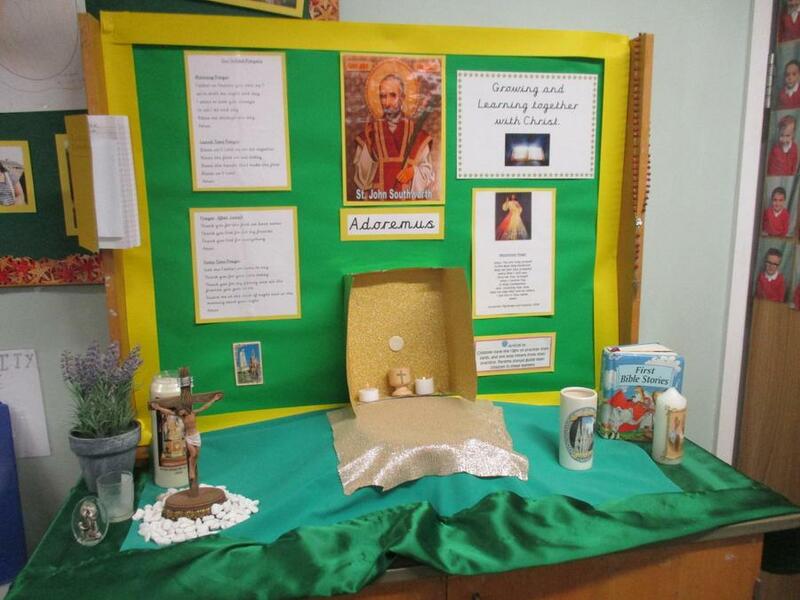 The National Eucharistic Congress is an encouragement to all of us, in the words of St John Paul II, to ‘rekindle our Eucharistic amazement,’ to realise again the immense gift we have been given. 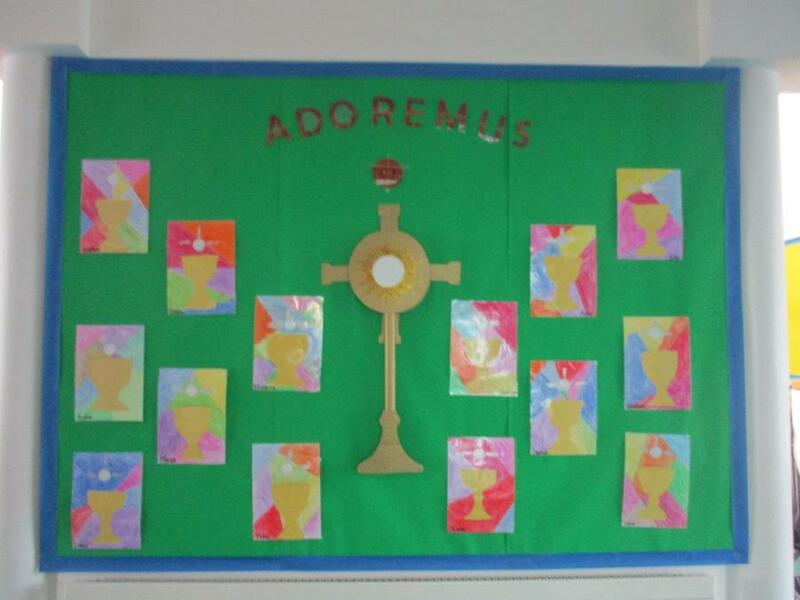 During this year the classes will focus on Adoration and explore the Eucharist in more depth. 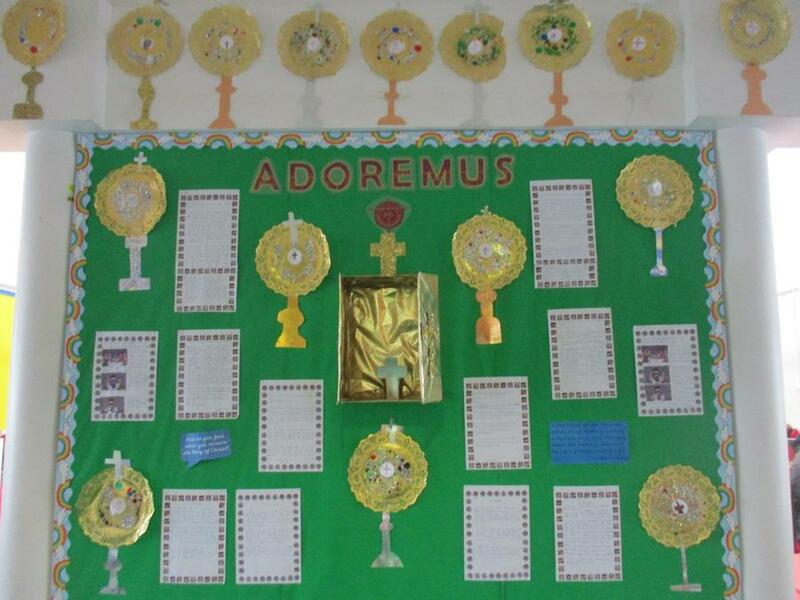 There will be events to mark various occasions and a focus on different Eucharistic Saints. 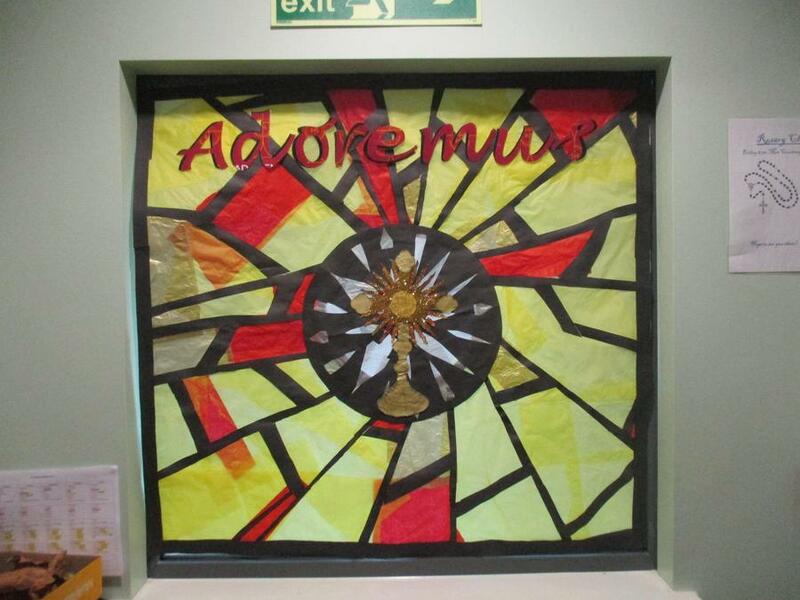 In the words of that great hymn, ‘Sweet Sacrament Divine,’ may we come to know afresh, ‘in songs of love and heartfelt praise,’ the Eucharistic presence of our Lord Jesus Christ. 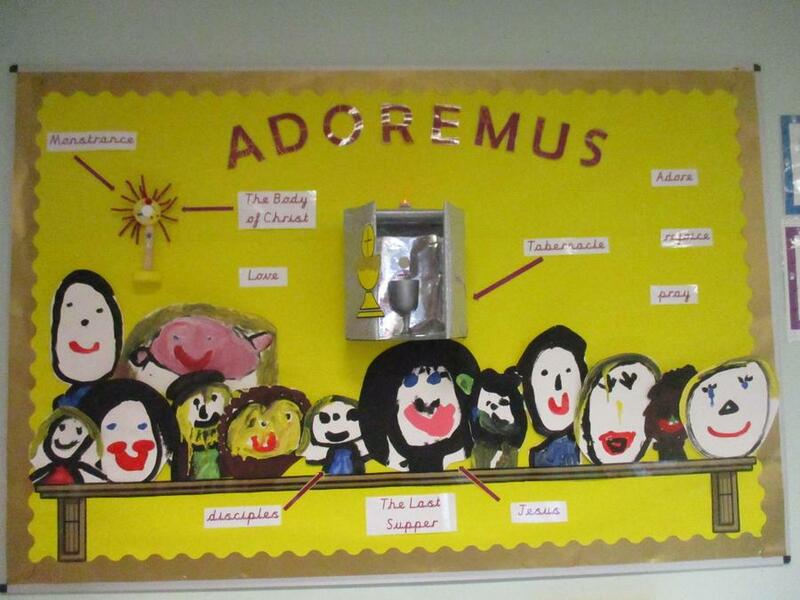 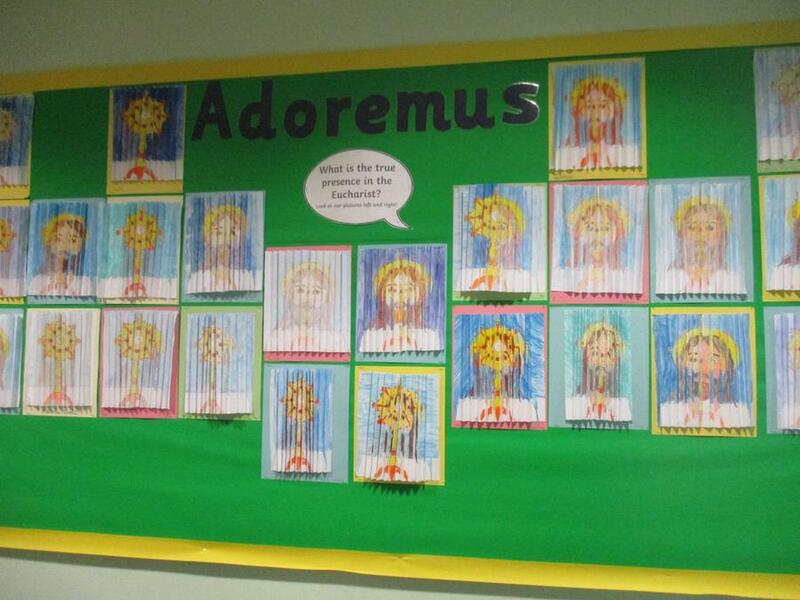 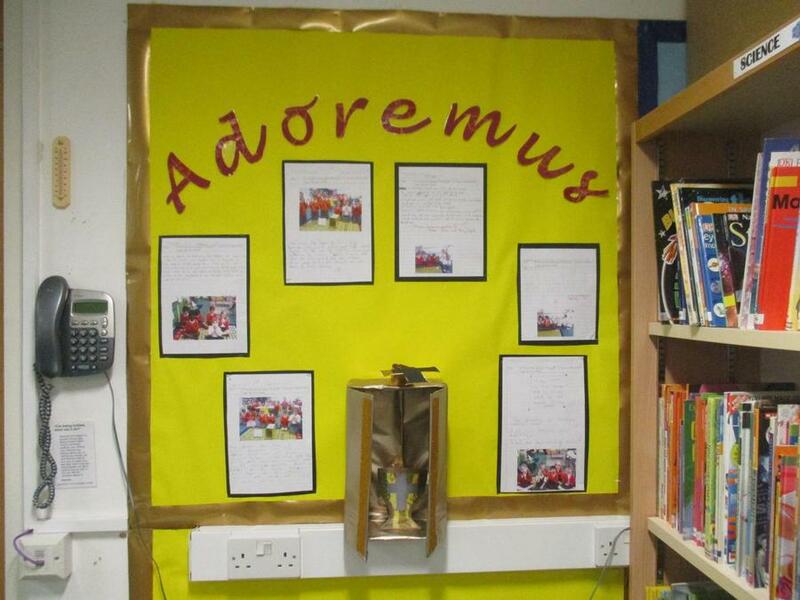 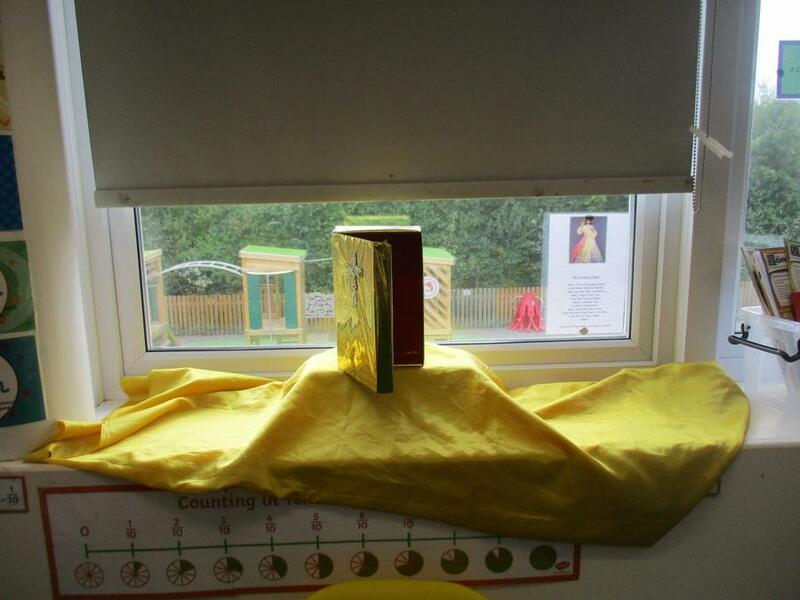 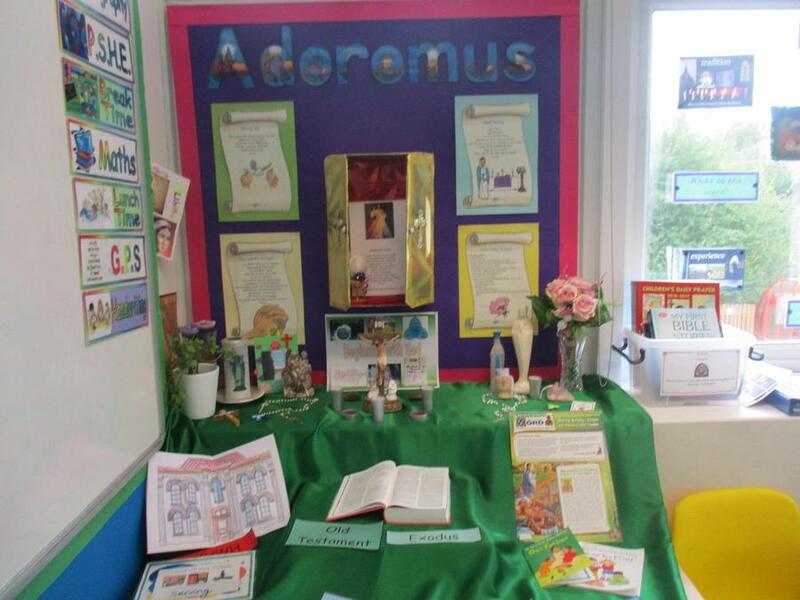 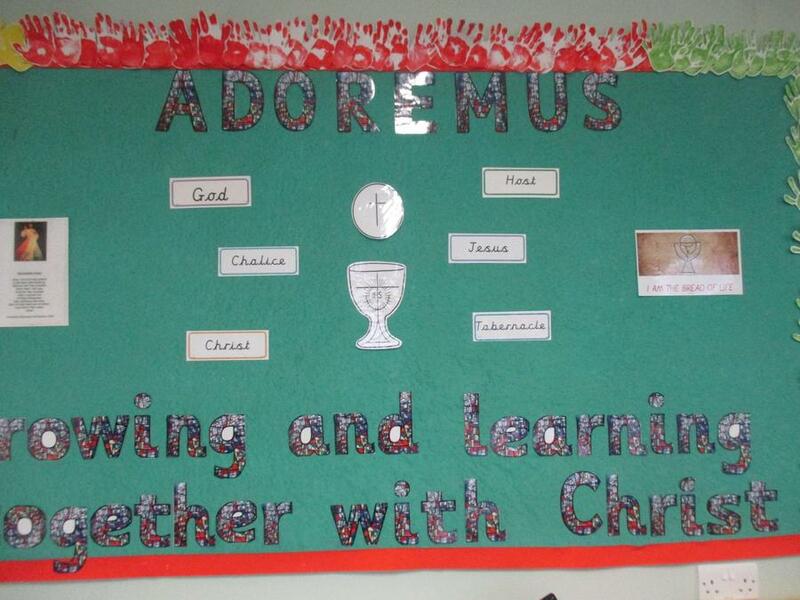 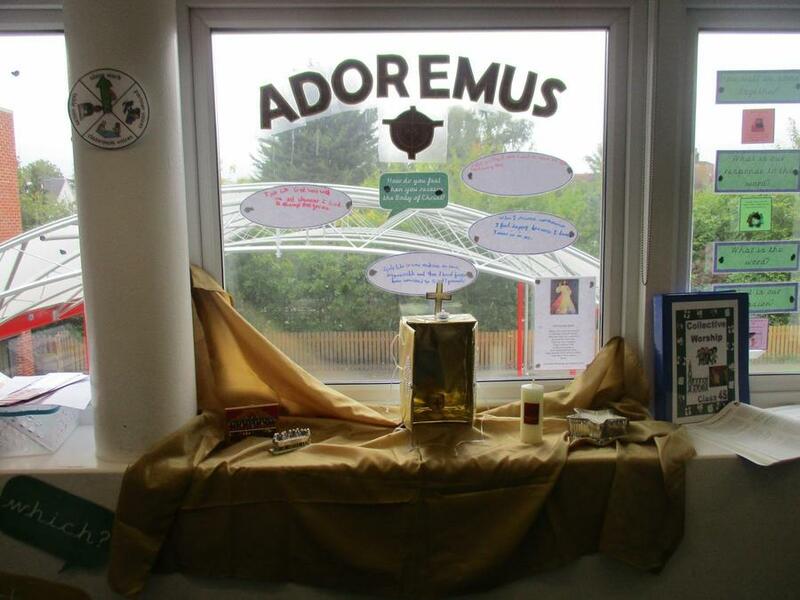 Each year group has created their own Adoremus display to celebrate the Eucharist, focusing on the Monstrance and the story of the Last Supper.